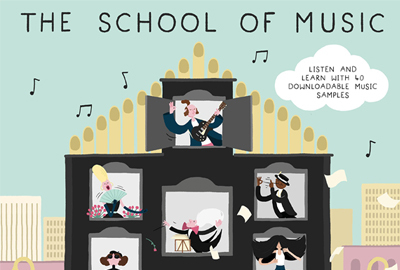 Meurig and Rachel Bowen’s new book for children The School of Music comes alive in this specially devised event, featuring up and coming actor-musicians and the authors. A fun and fast-paced sequence of interactive musical sketches introduces the School’s quirky characters and a wide range of musical styles, from classical and jazz to pop and world. Have a go at conducting, prepare yourselves for a good singalong…and what on earth have different hairstyles across the centuries got to do with it all? !